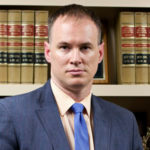 Craig Greening is a graduate of The University of Texas School of Law and received a B.S. in Mechanical Engineering from Boston University. Mr. Greening began his legal career as in-house counsel, and engineer, in the semiconductor industry in Dallas, Texas. He then moved on to be a prosecutor in Brazos County, Texas, where he tried over 80 jury trials ranging from Driving While Intoxicated to serious felony offenses. In 2004, Mr. Greening transitioned to criminal defense and has tried over 50 DWI cases to jury. He has won several DWI breath and blood cases where the result was over 0.20, and the blood result was admitted into evidence. Mr. Greening is one of the few lawyers who have received a not guilty verdict in Brazos County, Texas on a felony DWI. Mr. Greening has completed the Forensic Chromatography, Solid Drug, and DUI-Drug courses at Axion Labs in Chicago, Illinois. Mr. Greening received the ACS Forensic Lawyer-Scientist Designation as recognized by the Chemistry and the Law Division of the ACS in 2016. Mr. Greening is a member of the Brazos County and Harris County Criminal Defense Lawyer’s Associations (BCCDLA and HCCLA), the Texas Criminal Defense Lawyers Association (TCDLA), the National Association of Criminal Defense Lawyers (NACDL), the DUI Defense Lawyer’s Association (DUIDLA), the American Bar Association (ABA), and the American Chemical Society (ACS).